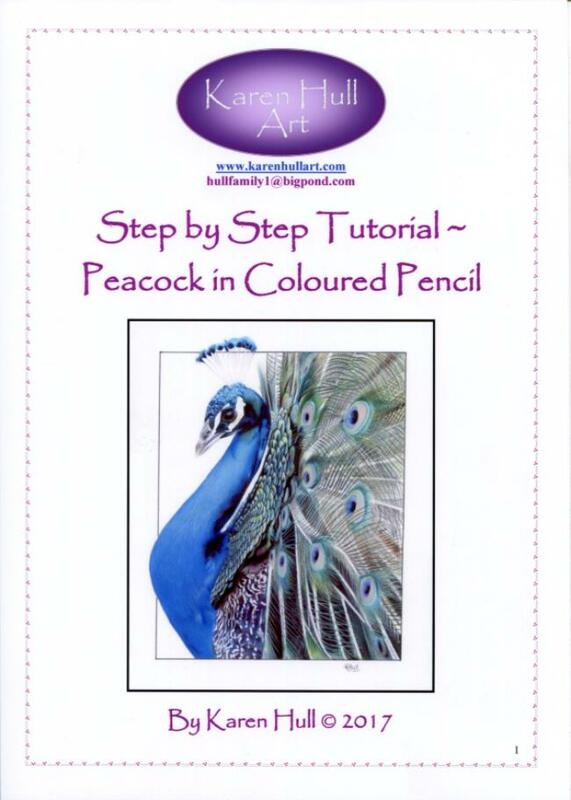 This 30 page tutorial shows you how to create this beautiful peacock using coloured pencils. You can complete this tutorial in a number of ways, including using coloured pencils only, coloured pencils with lightfastmarkers and coloured pencil on layers of drafting film. Several options are discussed throughout this tutorial so that you have flexible options when it comes to materials and surfaces and don't have to outlay a lot for new materials. This tutorial was created using Polychromos, Luminance, Pablos and Verithins and if you don't have these brands of pencils then you might find the Coloured Pencil Conversion charts assist you in working out which pencils to substitute from your own range.